Global warming may cause more extinctions than predicted if scientists fail to account for interactions among species in their models, Yale and UConn researchers argue in Science. Zarnetske said the complexity of “species interaction networks” discourages their inclusion in models predicting the effects of climate change. Using the single-species, or “climate envelope,” approach, researchers have predicted that 15 percent to 37 percent of species will be faced with extinction by 2050. But research has shown that top consumers—predators and herbivores—have an especially strong effect on many other species. In a warming world, these species are “biotic multipliers,” increasing the extinction risk and altering the ranges of many other species in the food web. “Climate change is likely to have strong effects on top consumers. As a result, these effects can ripple through an entire food web, multiplying extinction risks along the way,” said Dave Skelly, a co-author of the study and professor of ecology at Yale. The paper argues that focusing on these biotic multipliers and their interactions with other species is a promising way to improve predictions of the effects of climate change, and recent studies support this idea. On Isle Royale, an island in Lake Superior, rising winter temperatures and a disease outbreak caused wolf populations to decline and the number of moose to surge, leading to a decline in balsam fir trees. Studies in the rocky intertidal of the North American Pacific Coast show that higher temperatures altered the ranges of mussel species and their interaction with sea stars, their top predators, resulting in lower species diversity. 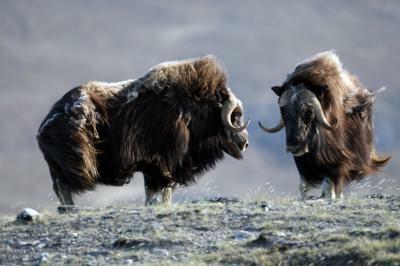 And in Arctic Greenland, studies show that without caribou and muskoxen as top herbivores, higher temperatures can lead to decreased diversity in tundra plants and, in turn, affect many other species dependent on them. Multispecies models with species interactions, according to the paper, would enable tracking of the biotic multipliers by following how changes in the abundance of target species, such as top consumers, alter the composition of communities of species. But there needs to be more data. “Collecting this type of high-resolution biodiversity data will not be easy. However, insights from such data could provide us with the ability to predict and thus avoid some of the negative effects of climate change on biodiversity,” said Mark Urban, a co-author and an assistant professor in the Department of Ecology and Evolutionary Biology at the University of Connecticut.